When most people think of Ken Paves, they think of big hair. The “hairstylist of the stars”, dubbed by the world’s media as the “hottest hairdresser in Hollywood”, is the man responsible for taming the locks of celebrities such as Jessica Simpson, Jennifer Lopez, Eva Longoria, and many more of the most beautiful people on the planet. But now the stylist with the golden scissors has moved from big hair to big give with a new online auction he has organized through the Kompolt Online Auction Agency. Inspired by the good deeds being achieved by the hit series “Oprah’s Big Give”, Paves has teamed up with a host of his celebrity friends to launch what could be the hottest auction this year, with all proceeds going to the EB Medical Research Foundation. So if it is once-in-a-lifetime celebrity items and experiences you want, hold on to your toupées and read on. 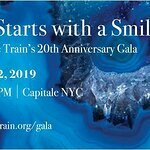 The auction, which can be accessed through eBay, runs until April 7, and features items from stars such as Brad Pitt, George Clooney, Sharon Stone, Marcia Cross, Bette Midler, and the Eagles. There are signed posters from Jessica Simpson, Eva Longoria, Carmen Electra, and John Travolta, and enough autographed photographs to cover the inside of even the biggest make-up trailer, including snaps from Courteney Cox, Jewel, and Christina Aguilera. And if it is clothes you are after, why not bid on a T-shirt signed by David Arquette, Ashlee Simpson, or Pete Wentz, a soccer jersey autographed by David Beckham, or slip into Victoria Beckham's jeans. If that is not enough to send shivers of anticipation through any star-hungry bidder, there is also the opportunity to snap up concert tickets – including meet-and-greets – to shows by Duran Duran and Céline Dion, as well as the chance to hang out with Ashlee Simpson and to visit the set of Scrubs with Donald Faison. There is even the opportunity to take a trip to Ken Paves’ salon with Eva Longoria. Paves, who is also a spokesperson for Operation Smile, has chosen the EB Medical Research Foundation to recieve 100% of the proceeds from the auction. The EBMRF is dedicated to increasing awareness of Epidermolysis Bullosa, a condition that affects the skin and can cause painful wounds, similar to burns, to form over up to 75% of a child’s body. Courteney Cox and David Arquette recently pledged to raise $1 million for the foundation. More information about the disease, as well as the opportunity to purchase a special necklace designed by Cox and Arquette, can be found at www.ebkids.org.